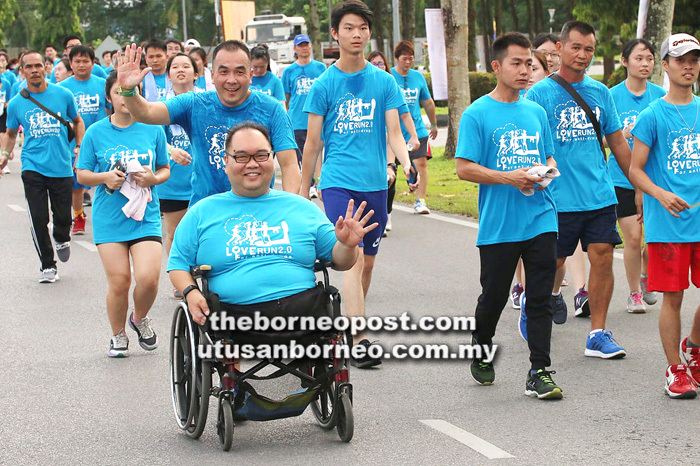 EARLY on April 29, nearly 5,000 participants took to the streets of Sibu to run. It was the highest number ever for a running event in town. There was no prize to be won that day. Participants were simply motivated by the power of love. “I think they came because many people had a desire to help one another; to create a better place in the society, but they had not found the best place to do it or did not know how to do it,” said volunteer Loh Yu Yee, 42, who started the Love Run event last year. Loh (third right) and her team visit a poor family. Love Run is the result of Loh’s 10 years of doing charity work. It began with her thinking of the best birthday gift she could give herself upon turning 32. She chose love – not for herself but society. “I thought what better gift for myself than to give all my blessings away to those really in need,” she said. She started ‘Sibu Angel Force’ online and started to look for volunteers who would join her. About 30 answered her call to make a difference and they started with charity work at Agape Centre. Loh’s concept of charity work did not involve contributing money but focussed on participation. “The perception of charity among people is quite shallow sometimes. When it comes to charity, people always think about money, but I want them to know that it is not always about giving money. Loh (right) briefs her team before the start of the run. “Charity and making a difference is about the willingness to spend your time, energy, and being unreserved in using your talents to help those in need,” she said, adding that financial support is just one part of charity work. The group started to volunteer at Agape Centre once a month, then increased this to once a fortnight. 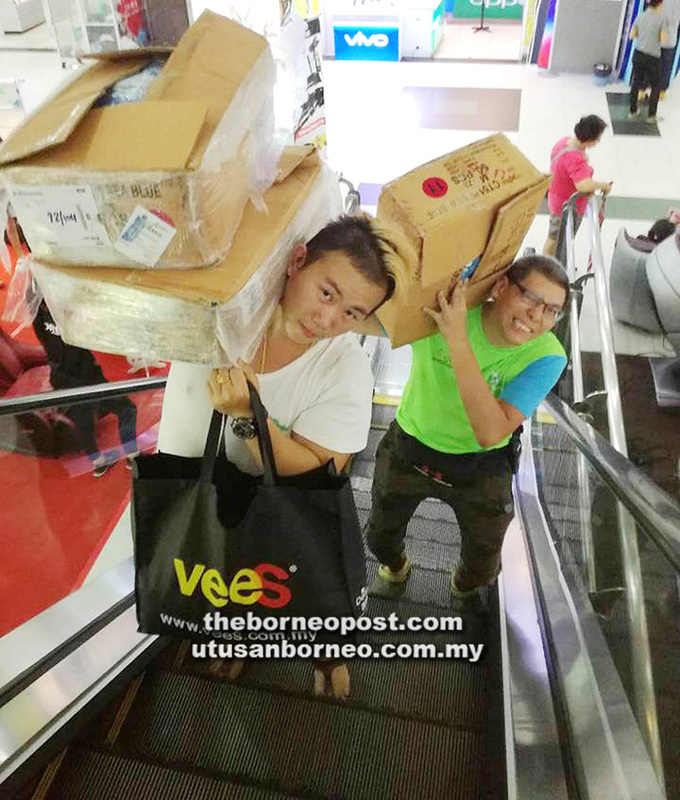 They were there for about six months and after that, they moved from place to place – from giving free haircuts to Rumah Sri Kenangan residents, to helping the blind at the Sibu Blind Centre, to cleaning Belawai beach. After the beach cleaning campaign, Loh became pregnant with her first child but this did not stop her from contributing to society. However, as she needed to slow down, the group began to visit the poor in their homes to see what they needed. “If they needed food, we gave it to them. Some of them desperately needed help to pay the bills, so we helped them also, and so forth,” she explained. People from all walks of life run for love. “The reason why I put it in the mall is because I want to educate the public on charity. I want them to start practising charity. Through that ‘love box’, I want them to participate where they can start giving to the poor,” she said. All this while, she carried out charity work on a personal level, and although assisted by a team, there were limitations. As such, Loh wanted to reach out to more of those in need and to get more volunteers to do charity work wherever they could. In 2016, she read a news report that the Sibu Autistic Child Care Centre in Kwong Ann Lane was struggling with operating costs and on the verge of closing down. At that time, the centre – a government-initiated pilot project that started in 2014 – faced a deficit of RM30,000 every month because funds from the federal government were insufficient and not received on time. The Love Run team hands over donations to fire victims. With no funds from the federal government from January to May 2016, the Sibu Autistic Centre (SAA) was forced to help support the centre financially. When the crisis persisted, SAA had no choice but to close the centre and move back to the Agape Centre. To help SAA, Loh decided to teach the autistic children to make soap, but that proved problematic due to their learning difficulties. She then decided they could do the packaging and all sales proceeds would go to SAA. However, when that did not work out, she decided to better understand autism and realised the children worked very hard to be accepted and to lead a normal life. “That was the time I decided to bring that message out because many people are like me; they do not understand what is autism. “I also realised that most parents tend to hide their children away from people because of the children’s condition and some did not even want to accept their children have autism,” she said. Loh then decided to raise awareness of autism among parents and the public. “For the parents, earlier detection means that their children could live a normal life with the right education, and for the public to be more caring and understanding of the autistic children, thus they could support the parents,” she said. This led her to start a fundraiser. Some of the trainees with special needs who led the warming up session. At the time she did not realise how difficult it would be to get a crowd of 3,000 for a run and what it would take to raise RM100,000. However, she decided to do it anyway and managed to get 20 volunteers. “We had a lot of problems because we did not know what to do, so we decided to approach people who used to organise marathons for help, but they said 3,000 people was ridiculous, it was too large a crowd, so they were not willing to help,” she said. It was also difficult for her team to find help because they had decided that no recognition should be given to volunteers. 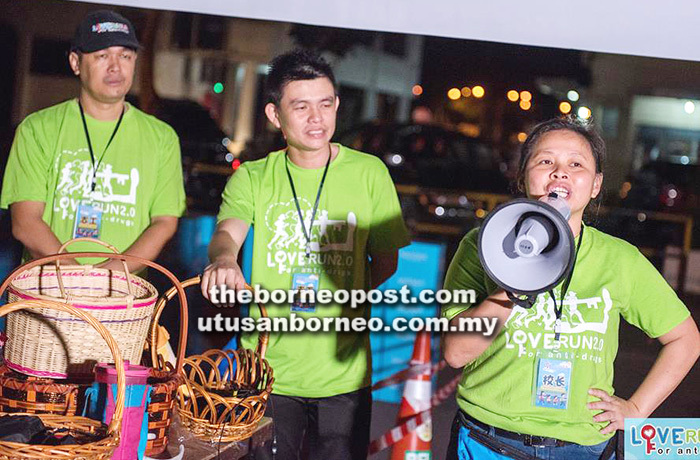 “We are very strict on this, we decided that whoever comes to help organise this Love Run would only be recognised as charity workers, whether you are from Lions clubs, or Datuk or Datin, we are all equal – just charity workers,” she said. Because they were not a formal organisation, some were also sceptical of their intentions. As no one was willing to help, the members decided to use their own methods of promotion. “So, the first activity we did was a promotional video. I posted on social media about this project to see who was willing to come and help. During the shoot, 150 people turned up. All with different talents – photographer, videographer, and so forth came to make this project a success,” she said, adding that the volunteer count soon increased to 300. Love Run volunteers get ready for a recruitment and promotion drive at Delta Mall. Some volunteers even wrote a theme song for the event. The video and song were not just about promoting the event, but also served to educate. “I don’t want to do an event and that’s it. There must be an awareness; an awareness that might cause a ripple effect where the participants could also do the same for others,” Loh said, adding that they did promotional drives every week at the mall. Last year’s Love Run 1.0 had 3,441 participants – some 70 of whom were children with special needs, along with their parents and teachers. “To see about 70 of them turn up was great because before this, they did not want to join. They did not want to come for the promotional video but they came during the run,” Loh said. The best part was the run raised RM200,000 for SAA. That created a spark of hope and, this year, Love Run 2.0 was held to raise funds for Victory Home – a rehabilitation centre run by the Methodist Church for drug addicts. They gathered nearly 400 volunteers and received 4,971 entries, including 122 children with special needs and their family members. The run raised RM290,000 for the construction of a new Victory Home. 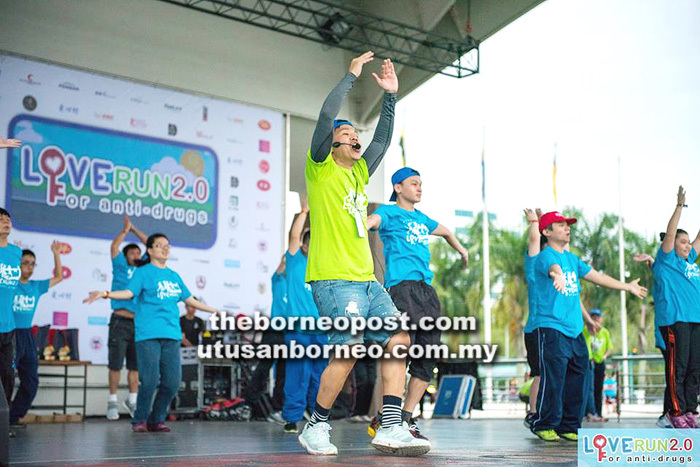 “About 30 of the special needs children led the warming up session during the Love Run 2.0. Not only did we help the volunteers and members of the public to understand more on social issues and to be more caring, we also helped these children to prove to the world that they can do what we can if given the opportunity,” she said. 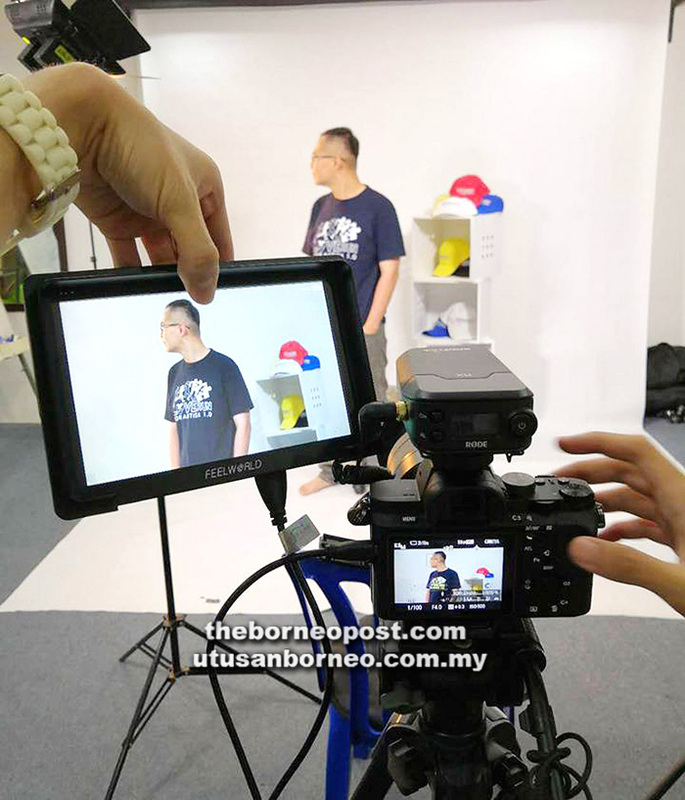 Behind the scenes during the promotional video shoot. There are also some volunteers who have started to do charity work on their own. “This is the power of love. My inspiration is Mother Teresa and my own religion also taught me that only love can create a better place. Love can go beyond race and religion,” she said. On whether she planned to set up an association, Loh said she had no plans for now. “To set up an association means we need money and many people quarrel because of money. By organising this Love Run, we did not receive any money at all. All the money and sponsorship went to the SAA and Victory Home accounts respectively,” she said.